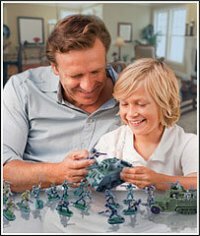 The Safari Ltd Swashbuckler collection has arrived at Battlefield Legends Toy Soldiers! 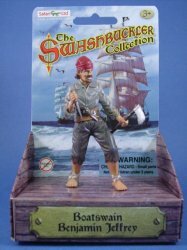 These classic action packed swashbucklers will delight the imagination of any toy soldier collector. Sculpted by a leading American character sculptor, Safari Ltd pirates will transport you back to the days of pirate ships and sunken treasures. All Safari products are phthalate-free and safety tested. 100% satisfaction guarantee. Shop with confidence!